Corals are marine animals. Corals are rocklike gatherings of these animals or their skeletons, forming an island or reef. The hard skeletons of red corals are polished to a shiny gloss and these are used as gemstones. And Coral is a reddish or pinkish shade of orange. In Finding Nemo, Coral was Nemo’s mother, who got eaten by the barracuda along with her eggs. We shed a few tears but were comforted to know that at least Nemo survived. After beheading her, Perseus placed Medusa’s head on the riverbank while washing his hands. When he recovered her head, he saw that her blood had turned the seaweed into red coral. The not so popular Coral, from the fifth season of Baywatch, has a fight with Stephanie. Coral is notoriously loading explosives onto the boat and Stephanie doesn’t like that. Of course, Coral knocks her unconscious. Jessica Alba, Milla Jovovich, Eva Longoria, Freida Pinto – They all love Coral. 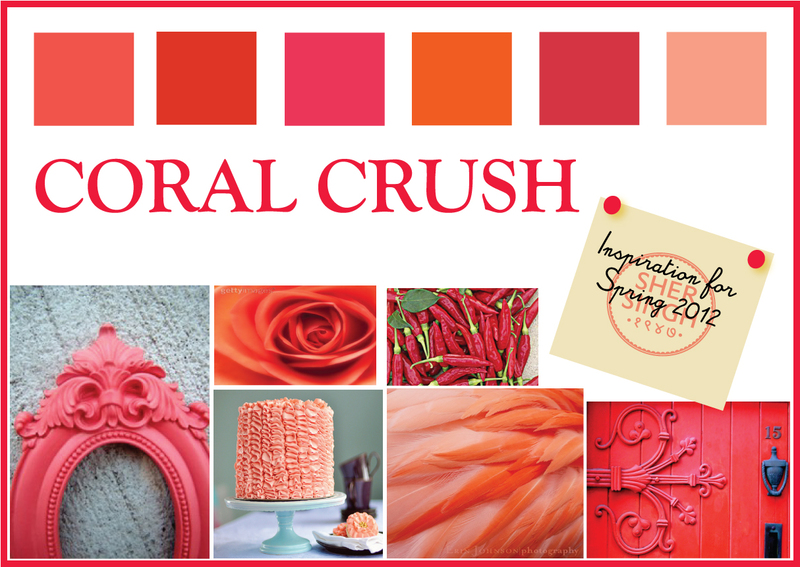 For us, Coral is our second Spring inspiration.